Less than a year after Egyptian President Abdel Fattah Al-Sisi announced that Egypt has been asked to once again host the World Economic Forum (WEF) on the Middle East and North Africa, the WEF founder and executive chairman said that the forum has been cancelled. The cancellation of the event means it will not be held at all in 2016 unless Arab and North African countries decide to choose a new host. 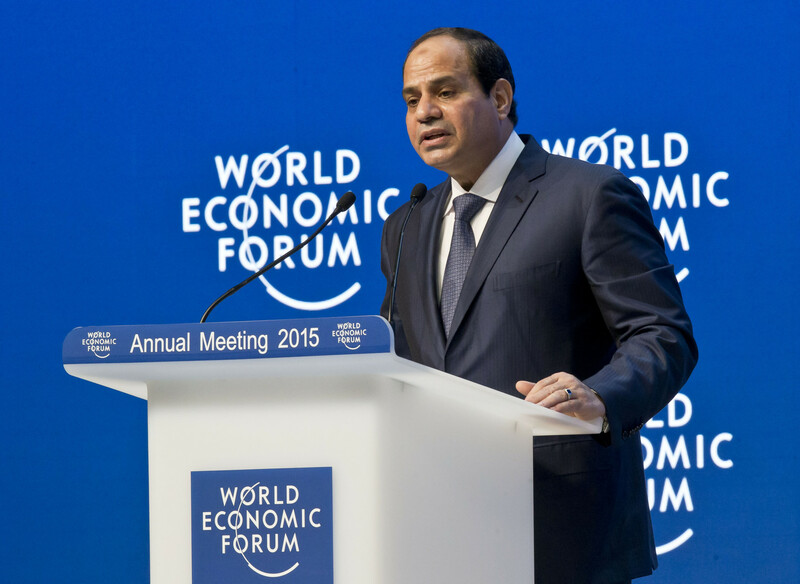 According to Kane, Egypt boycotted the World Economic Forum Annual Meeting, held annually in Davos, in protest. Meanwhile, one Egyptian government spokesperson questioned why no world events were cancelled in Paris and Istanbul following terror attacks. In Istanbul, world leaders met for the G-20 Summit despite the occurrence of a terror attack days before the meeting, while in Paris the 2015 United Nations Climate Change Conference (COP 21) went ahead just over a month after the deadly Paris attacks. Separately, Egypt’s Minister of Foreign Affairs said the decision to cancel the forum was “flimsy” and said that it was wrong to assume Egypt is incapable of maintaining its internal security. “The forum is not in a position to make that sort of assessment,” said Sameh Shoukry in an exclusive interview to Foreign Policy. The WEF on MENA has previously been held in both Egypt’s Sharm El-Sheikh and in Jordan’s Dead Sea.